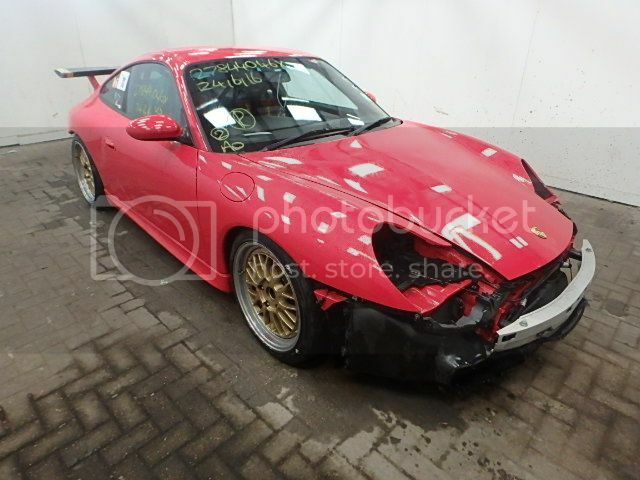 So are you saying the Guards Red 996 GT3 Registration LX53 NRN has some history behind it? 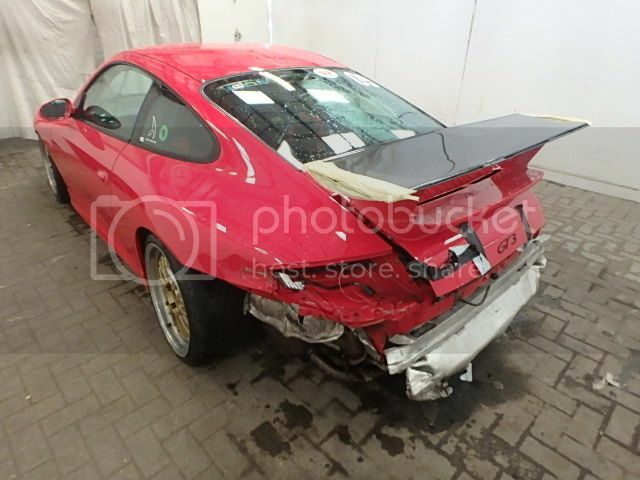 On my first ever trip to the Nurburgring, on the eve of my first ever trackday there, the driver showed my his in-car footage of this crash on his 'phone during dinner. It was probably a 'good thing' for me to see it, but it did nothing to steady my nerves! Not necessarily - my big crash there was only recorded by my own onboard and to my knowledge none of my 4 non-contact spins ever made YouTube either. If I could go there regularly for a decade without ending up on a compilation then I am sure that you can too. can i try it in your car? How did she shift that?! That's some price for a car with that back story! Caveat Emptor indeed!! Those seats explain the price hike then. Thank god for that, i thought it may have been some unscrupulous seller trying to steal money off people. SOR perhaps with a dealer fronting it/taking a big cut? Perhaps waited until the 'net noise died down and quietly moved it on to someone in the trade who hadn't done due diligence on its past? 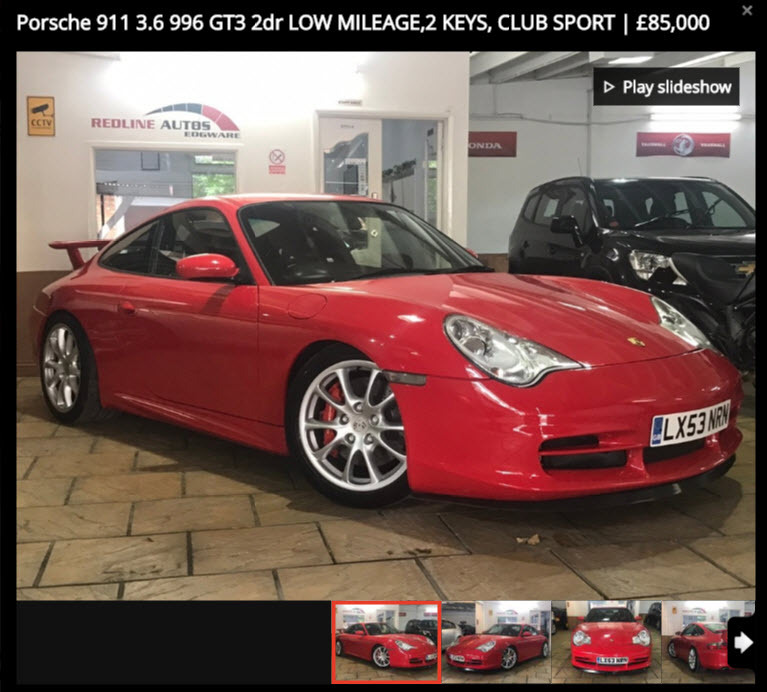 From the earlier days of this thread it is apparent that the dealer advertising it this time may have been innocently oblivious of its history when pricing it? Oh and when are we going to see the golden wheels Nick ? 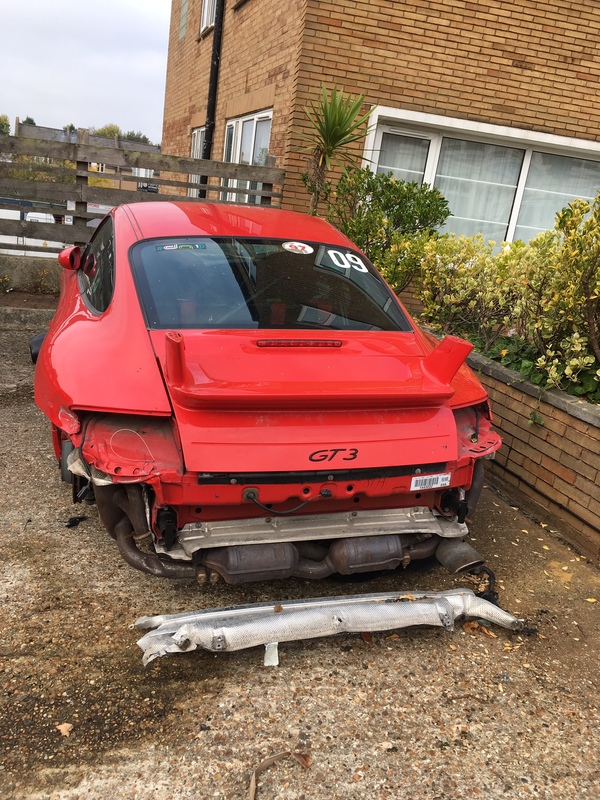 Average price of a car in that dealers stock is about £5-10k - seems a strange place to be marketing a GT3! Has anyone warned the dealer?! Maybe they don't care. 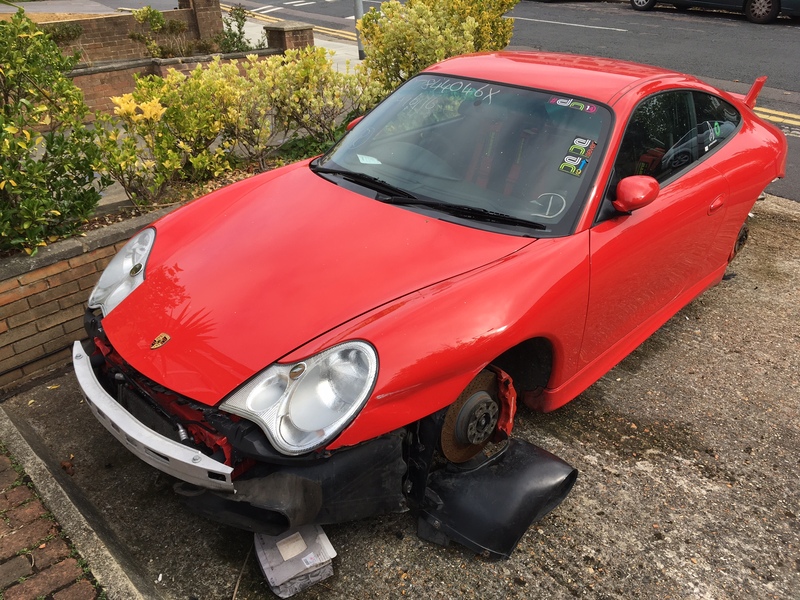 I am convinced someone sent me pics of this sitting in Brighton somewhere for weeks - about 18 months ago - well it was definitely a red 996 GT3 - maybe before the work was done - will try and dig them out.